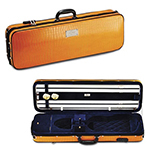 Total Length - 23.8" | Body - 14.2" | Upper Bout - 7" | Lower Bout - 8.4"
Length 32" x Width 10.75" x Height 5"
Weight: 5.5 lbsWhere it all started! 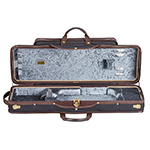 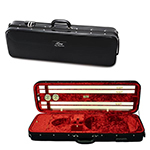 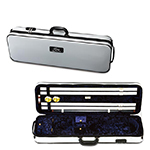 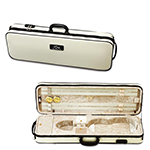 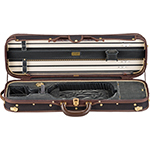 The venerable Musafia Luxury model is the highly sought after original, and the world’s most copied violin case. 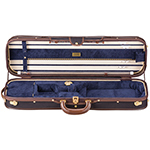 With gracefully balanced interior design, deep real silk plush fabric, quilted padding, rope cording, and beige-on-color scheme. 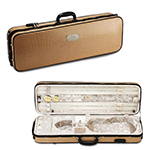 As with all Musafia cases, quality and safety are foremost. The Luxury model locates the violin safely at the center, with the accessory compartment on the right. 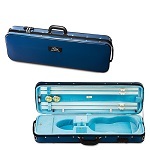 Choice of Royal Blue or Nimbus Gray interior, with military-grade, Teflon treated Cordura black fabric cover with subway handle.